It’s a good thing I was a Scout because I’m preparing for another enriching, exciting event. 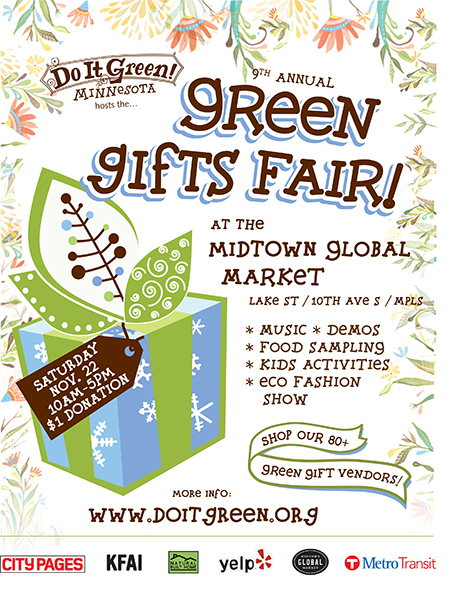 On Saturday, Nov. 22, 2014, I happily will be among more than 80 creative people at the Green Gifts Fair where green, recycled, fair-trade, and organic gifts will be for sale. My blank note cards are printed on stock that contains a minimum of 30% post-consumer fibers—Neenah’s Royal Sundance card stock with matching A-2-size envelopes. The paper is acid free, manufactured with 100% renewable green electricity, and is FSC (Forest Stewardship Council) Certified.